Residents of the Riverside, California area need to know their rights and legal options after sustaining injuries. If another person or party was negligent, and that negligence caused an injury, the injured party can seek compensation for his or her damages through a personal injury lawsuit. The attorneys at Bentley & More, LLP have extensive experience handling all types of civil claims in California, and we have helped secure millions of dollars in compensation for our past clients. 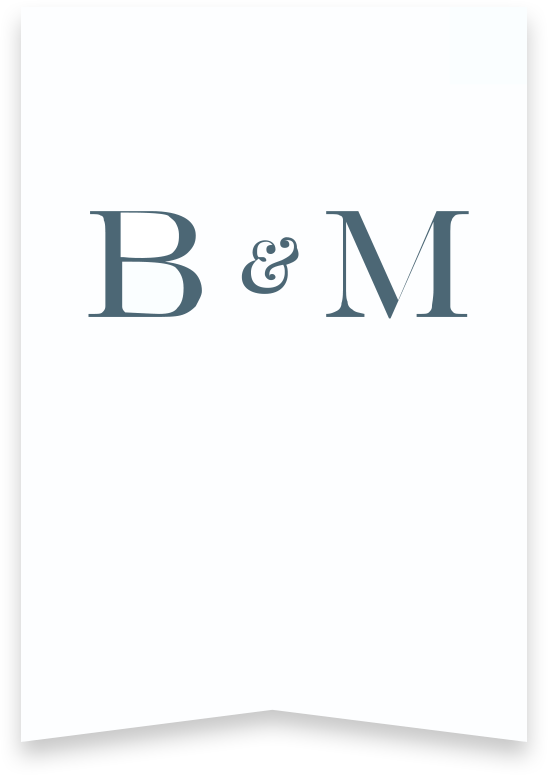 Bentley & More LLP is Riverside, California’s trusted personal injury firm. We litigate our clients’ claims with confidence, helping the Inland Empire’s most populous city with our professional legal prowess. Count on us for strong and savvy legal assistance for a car accident, catastrophic injury, workplace incident, dangerous defective product, or other personal injury claims in Riverside. Learn more about your unique claim during a free case evaluation at our local Riverside personal injury firm. Call (949) 870-3800 to schedule yours today. Personal injury law revolves around the legal concept of negligence, or one party’s failure to act with reasonable care in a situation. Duty of care refers to the proper actions an individual should take in a particular situation. For example, drivers have a duty of care to follow posted traffic signals and to operate their vehicles safely and legally. Medical professionals have a duty of care to provide competent, effective, and timely treatment. A property owner has a duty of care to ensure no hazards are on the property that would put residents, tenants, visitors, or guests in danger. When one party breaches the duty of care for a given situation, anyone who sustains injuries or damages as a result may pursue a personal injury claim for compensation for their medical expenses, pain and suffering, property damage, and other losses. In order to establish liability in a personal injury claim, the plaintiff (person pursuing a claim) must show that the defendant owed him or her a duty of care. For example, a physician owes a duty of care to his or her patients, and drivers owe a duty of care to others on the road. Next, the plaintiff must show that the defendant breached his or her duty of care, usually by committing negligence. Examples of negligence might include failing to obey a traffic law or reasonably take care of a dangerous or defective condition on a property. Additionally, a plaintiff must show that a defendant’s breach of duty directly caused his or her injuries. Lastly, the plaintiff must be able to show that the defendant’s negligence led to some sort of harm. Examples include medical bills, lost wages, or even intangible harms such as physical pain or suffering. With the exception of cases involving strict liability, nearly all personal injury cases rely on the concept of negligence. This means that people have a duty of care to one another, and violating this duty establishes liability for any damages an injured party incurs. In a legal sense, a person commits negligence when he or she fails to act in a way that another, reasonably careful person would. Negligence may result from action (e.g., texting and driving) or inaction (e.g., failing to order a test that would reveal a medical condition or diagnosis). A burden of proof. Each legal case has its own burden of proof, but it’s essential to understand that the burden of proof in a civil personal injury case differs from a criminal one. For a criminal charge, a jury must have proof of a defendant’s guilt beyond a reasonable doubt to render a conviction. On the other hand, the burden of proof for a civil case is much lower – based on a “preponderance of the evidence.” In other words, a defendant can be guilty of negligence if it seems “more than not” that he or she committed it. Why Do I Need A Riverside Personal Injury Attorney? Some individuals may sustain injuries and believe they can represent their own interests in court and succeed with a lawsuit, without hiring an attorney. While some cases may appear open-and-shut at first, the reality is that the average person does not have the legal experience to know how to navigate the court’s filing requirements. If you attempt to represent your own civil action, you may inadvertently overlook valuable avenues of compensation. You will also need to manage your own expenses during the lawsuit process with an uncertain outcome. Hiring an experienced personal injury attorney will dramatically improve your chances of winning your case, and the right attorney will thoroughly investigate every available channel of compensation for your claim. Don’t see what you’re looking for on this list? Give our Riverside accident attorneys a call to find out if we can help your family. Whether your injuries occurred in an auto accident on the I-215 or in a slip and fall while walking around the UCR Botanical Gardens, contact our Riverside personal injury lawyers for assistance. How Much Does an Injury Attorney Cost Upfront? The attorneys at Bentley & More, LLP operate under contingency-fee billing, meaning that we do not take any attorneys’ fees unless we win your case. When you meet with a Bentley & More, LPP attorney, we will provide a free consultation to carefully review the details of your claim to determine its merit and likelihood of success. There is, therefore, no cost to you unless and until we win your case. The amount you might receive for your Riverside personal injury accident depends upon the extent of your injuries and the circumstances surrounding your claim. Catastrophic and fatal injuries generally result in greater compensation awards, as do claims involving malicious intent to harm or gross negligence. The Riverside courts will determine recovery after analyzing the details of the claim and listening to testimony from attorneys and witnesses. Property damage, damage to reputation, emotional and psychological distress, medical bills, and lost wages are all compensable damages in California. Seeking appropriate medical care. In order to collect reimbursement for damages, it’s essential to receive proper treatment and follow a physician’s orders regarding follow up care. Remaining silent. One of the most important things a plaintiff can do to protect a claim is to offer no information to an insurance company or other entity (other than a responding officer) unless he or she has a lawyer present. Contacting a Riverside personal injury attorney. Lastly, anyone involved in an accident should contact an attorney to schedule a free review of his or her legal options. This will give him or her a better idea of what to expect from the legal process and if he or she has a valid claim to compensation for damages. Personal injury claims require the guidance of an attorney. The Riverside personal injury attorneys at Bentley & More work to meet the needs of every client and hold the responsible parties accountable for any damages they cause. Pursuing a personal injury lawsuit is no small matter, so you need to have confidence in your attorney. Find an attorney with a strong track record of successful cases in the area of law that most pertains to your claim. For example, if you are pursuing a medical malpractice claim for a botched surgery, you probably wouldn’t want to hire an attorney whose only experience is auto accident claims. A good Riverside personal injury attorney should be able to offer close, comprehensive legal representation for the duration of your case, as well as upfront and transparent pricing. The law firm you choose can make all the difference in the outcome of your Riverside personal injury claim. You need a team of skilled Riverside injury lawyers you can trust to have your best interests at heart, to dedicate ample time to your claim, and to communicate with you openly about your case. Bentley & More LLP has helped hundreds of Riverside residents fight for maximum recovery after all types of personal injury accidents. We work one-on-one with clients to understand their goals and come up with appropriate legal strategies to achieve them. We’ll do everything in our power to protect you and your family. The attorneys at Bentley & More, LLP have a strong record of success in a variety of personal injury lawsuits in the Riverside, CA area. If you believe you have a personal injury claim, contact Bentley & More, LLP today to schedule a free consultation with one of our attorneys. Once we review the details of your claim we can let you know how our firm can help and the types of compensation you could receive from a successful lawsuit.